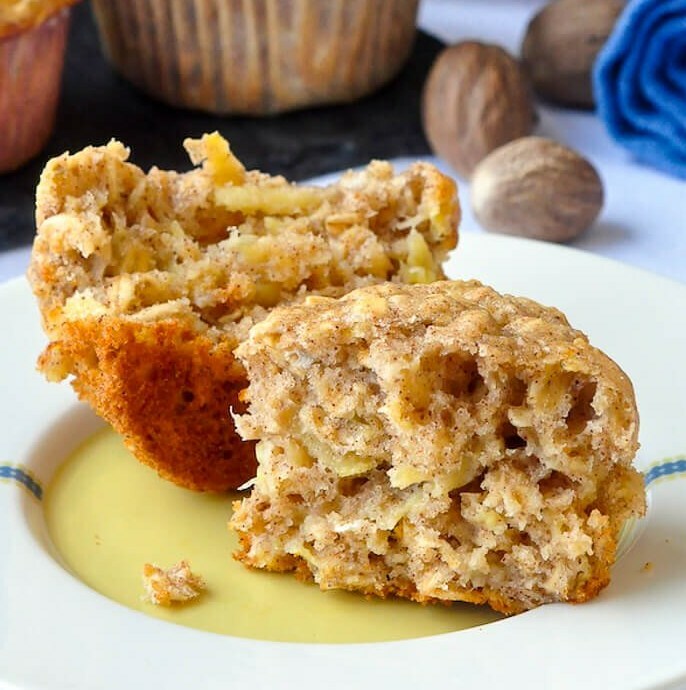 Oatmeal Apple Banana Low Fat Muffins - A very easy to make recipe for moist, delicious breakfast muffins that uses a minimum of vegetable oil and sugar, although you'll never miss it. Mix together the oatmeal, whole wheat flour, baking powder, salt,cinnamon and nutmeg. Set aside. Beat together the eggs. oil and sugar until fluffy. Fold in the dry ingredients and when the flour is almost incorporated fold in the mashed banana and grated apple. Do not over mix. Fold in only until the fruit is mixed through the batter. Spoon into greased or paper lined muffin tins and bake at 350 degrees F for 25 minutes or until a toothpick inserted in the center comes out clean. Best served warm.